Pope Francis has trained his sights on the phenomenon of fake news and and has made it the centerpiece of the Catholic Church's 2018 World Communications Day. The pontiff announced the theme via Twitter on Friday. “I have chosen this theme for World Communications Day 2018: “The truth will set you free” (Jn 8:32). Fake news and journalism for peace,” he said. Read more. 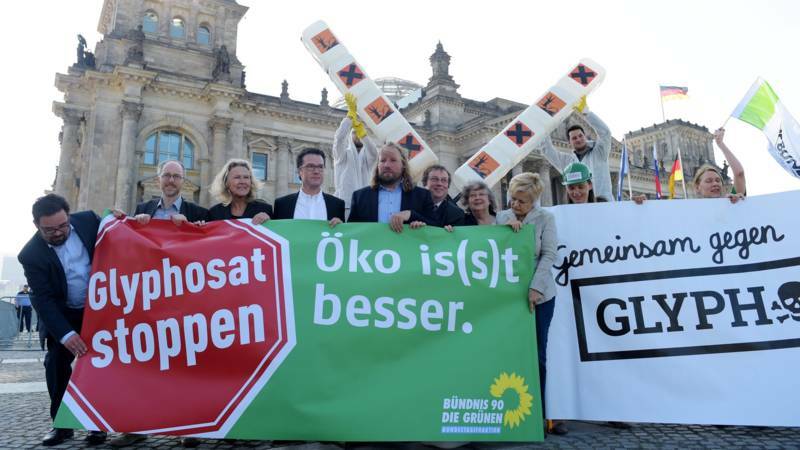 Monsanto lobbyists have been banned from entering the European parliament after the multinational refused to attend a parliamentary hearing into allegations of regulatory interference. Read more. Kathy begins her journey in China where she sees some incredible demonstrations of acupuncture. The most astonishing is a scene in a Chinese hospital in which doctors perform open heart surgery on a young woman - using a combination of acupuncture and conventional pain relief instead of a general anaesthetic. In China, she discovers, acupuncture is used alongside western medicine and, at times, as a replacement. Read more. Van den Bogert vond dat 45 procent van alle klinische geneesmiddelenstudies die in 2007 door de METCs werden beoordeeld, op een goede manier zijn uitgevoerd en gerapporteerd in de wetenschappelijke literatuur. Lees meer. North Korea says Trump's dangerous rhetoric is tantamount to a declaration of war. But even if military officials try to act as a restraint on Trump's hostility, Trump isn't bound by the advice he gets from anyone, says Col. Larry Wilkerson. Russia destroys last batch of its chemical weapons stockpile, fulfilling its obligation under the convention on prohibition of chemical weapons. Read more. However, Aleppo residents claim that White Helmets care only about money and saving rebels, but not the civilians. In fact, they are not autonomous, and cannot make their own decisions – these are made by other powerful people. The 80-year old Hollywood actor has recorded a two minute video for the newly-formed ‘Committee to Investigate Russia'. Imagine the most foaming-at-the-mouth Russophobia you’ve ever witnessed and multiply it by ten, and you’ve got Freeman’s message. Read more. Efforts by Madrid to stop a Catalonia independence vote, currently slated for October 1st, seem to be growing more hostile by the day. Earlier this week Spanish police seized control of Catalonia’s finances, seeking to ensure that separatist politicians could not spend further public funds on the referendum, and conducted raids across Catalonia to confiscate ballots and campaign materials from printing shops and delivery companies. Read more. 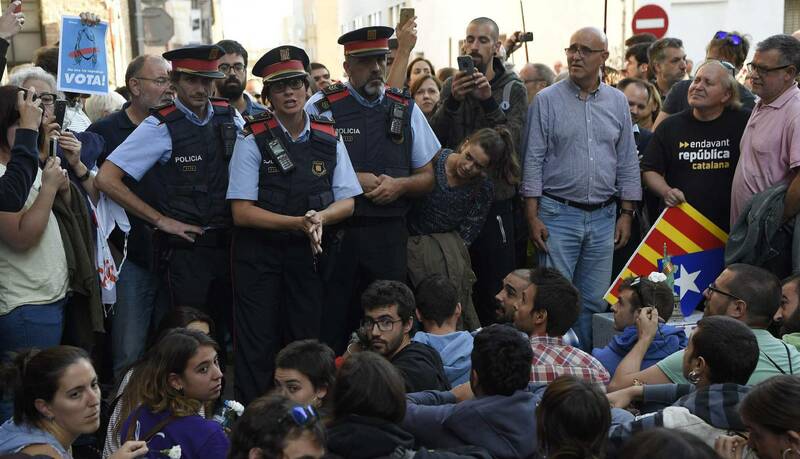 The Spanish Civil Guard launched a raid in Barcelona early Wednesday morning in search of voting material for the independence referendum that Catalan authorities plan to hold on October 1, despite its suspension by the courts on the grounds that it is unconstitutional. Read more. Considered a jewel amongst historians and rebel hearts, this documentary made in 1997 about the 1936 Spanish Revolution blends historical accounts of the development of the anarchist movement with first-hand testimonies. Following a meeting with US State Secretary Rex Tillerson on the sidelines of the UN General Assembly, Lavrov said that it was time to bring US-Russian relations to a better level. Read more. ‘Rocket man is on a suicide mission for himself’: Trump names conditions on which US will have no other choice but to destroy North Korea. Col. Larry Wilkerson, former chief of staff to Colin Powell, talks about Trump's speech before the UN General Assembly and explains why Ambassador Nikki Haley's remarks on the Iran nuclear deal scare him. I wonder how many people even know this was there then? This is kind of like Building 7 in that it seems not a lot of people know about it, even today. HOUSTON, Sept 12 (Reuters) - Texas has launched aerial attacks on mosquitoes swarming coastal regions of the state and threatening to spread disease and hinder disaster recovery in the aftermath of Hurricane Harvey. Read more. A senior Iranian official warns that any “illegal” separatist move in Iraq would escalate insecurity in the country and across the region, saying that the Islamic Republic only recognizes an integrated and federal Iraqi government. Secretary of Iran’s Supreme National Security Council (SNSC) Ali Shamkhani made the remarks on Sunday while expressing the Islamic Republic’s opposition to a planned referendum on the independence of Iraq’s semi-autonomous Kurdistan region, saying the plan would fail to safeguard the region’s interests. Read more. 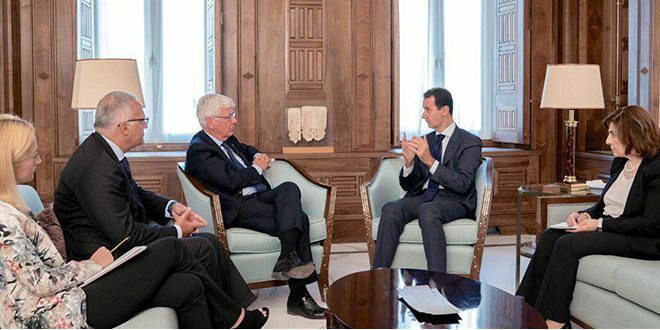 Damascus, SANA – President Bashar al-Assad received on Sunday an Italian parliamentary delegation, headed by Member of the Senate, Senator Mario Romani. Talks during the meeting dealt with the latest developments in Syria in light of the terrorist war waged against the country and the firsthand experience of what the situation is like which the Italian delegation had during its visits to a number of areas in Syria, in addition to the negative and misleading image portrayed by the western media during the years of the war. Read more. Lode Vanoost - 'Tien dagen die de wereld deden wankelen' van Amerikaans journalist John Reed, over de Oktoberrevolutie van 1917, wordt honderd jaar later heruitgegeven. Dit is een uniek ooggetuigenverslag over misschien wel de meest ingrijpende omwenteling van de twintigste eeuw, een boek dat honderd jaar later leest alsof het gisteren pas geschreven was. John Reed (1887-1920) was ondanks zijn jeugdige leeftijd geen journalistiek groentje toen hij samen met partner Louise Bryant (1885-1936) in 1917 aankwam in Sint-Petersburg, kort na de mislukte poging tot staatsgreep van generaal Lavr Kornilov in een ultieme poging om het feodale regime te herstellen. Lees meer. Prof. Paul Marik, intensivist en internist in het Sentara Norfolk General Hospital in Norfolk in de Amerikaanse staat Virginia, staan de gebeurtenissen op dinsdag 5 januari 2016 nog helder voor de geest. Lees meer. Marc Vercoutere - Militairen op straat wordt door de federale regering-Michel verdedigd als een belangrijke bijdrage tot de veiligheid. IS dat wel zo? Antwerps welzijnswerker Marc Vercoutere ziet het anders. Geen verwijt aan de soldaten zelf, die zo best mogelijk hun opdracht uitvoeren. De regering heeft met deze inzet heel andere, politiek-ideologische doeleinden die zeer misleidend zijn. Militairen voeren taken uit. Opdrachten. Dat ze dit naar best behoren doen en zich volledig geven voor de opdracht, daar bestaat geen twijfel over. Lees meer. Investigative journalist and documentary filmmaker John Pilger tells RT America that US is to blame for putting the world on the brink of nuclear war. The rest of the world is mostly alarmed by the US, not North Korea. Sanctions will never work in de-escalating the situation, he adds. And this topic gets insta-flagged in the system... what a shock. Lyme Disease is one of those illnesses that, unless you have it or know someone who afflicted by it, most people don’t know that much about it other than that it is caused by a tick bite. Lyme Disease has been referred to as “the great imitator” because it mirrors many other awful medical disorders including chronic fatigue syndrome, lupus, multiple sclerosis, arthritis, fibromyalgia, and even Alzheimer’s disease. Read more. With Russian-backed Syrian government forces breaking the siege of Deir ez-Zor, US-backed Kurdish militias appear to be heading to the same place, but from another direction. RT's Ilya Petrenko looks at what's at stake as the two anti-terror forces move closer to one other. De kosten om een nieuw medicijn op de markt te brengen zijn veel lager dan de farmaceutische bedrijven zelf beweren. De industrie is gemiddeld 540 miljoen euro kwijt aan onderzoek en ontwikkeling, terwijl de opbrengsten in een paar jaar tijd soms het tienvoudige bedragen, een marge die in geen enkele andere sector van de economie wordt behaald. Lees meer. Het omstreden onkruidbestrijdingsmiddel glyfosaat, ook bekend onder de merknaam Roundup, mag gewoon gebruikt blijven worden. Minister Kamp van Landbouw steunt het voorstel van de Europese Commissie om de goedkeuring van het middel met tien jaar te verlengen. Organisaties als Greenpeace lopen te hoop tegen het middel, omdat het schadelijk zou zijn voor mens en dier. Lees meer. Pro-independent protesters are demonstrating on Catalonia's National Day, ahead of a secession referendum in just three weeks. The Catalan government announced the referendum on September 6, but the Spanish high court banned it. Huge rallies are now expected throughout the day, with the referendum itself taking place at the start of next month. CARACAS (Reuters) - Venezuelan President Nicolas Maduro said on Thursday his cash-strapped country would seek to “free” itself from the U.S. dollar next week, using the weakest of two official foreign exchange regimes and a basket of currencies. Maduro was refering to Venezuela’s “DICOM” official exchange rate in which the dollar buys 3,345 bolivars, according to the central bank. Read more. LONDON, Sept 7 (Reuters) - The alcohol industry uses denial, distortion and distraction to mislead people about the risks of developing cancer from drinking, often employing similar tactics to those of the tobacco industry, a study said on Thursday. Drinks industry organizations often present the relationship between alcohol and cancer as highly complex, implying there is no clear evidence of a consistent link,.. Read more. China has announced a "new world order" for world oil markets that could have profound effects on the global economy and the monetary order itself. But as The Shanghai International Energy Exchange gears up for operation, it's important to note yet again that this is another engineered conflict with the pre-determined death of the dollar system being used to bring in the new multipolar world order that the NWO has been openly working toward for decades. Read more. Microplastic contamination has been found in tap water in countries around the world, leading to calls from scientists for urgent research on the implications for health. Read more. The examples of Iraq and Libya have convinced the North Korean leadership that only nuclear deterrence can protect them, so no sanctions can dissuade them, Russian President Vladimir Putin said. Read more. DONETSK, September 4. /TASS/. 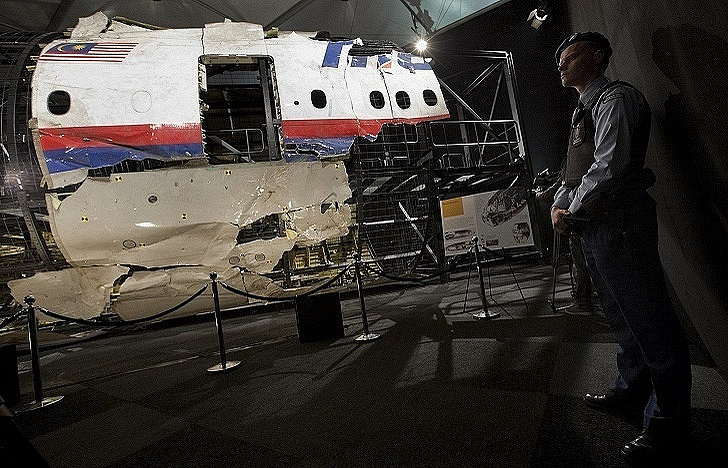 Authorities of the self-proclaimed Donetsk People’s Republic are ready to hand over to the Netherlands the remains of victims of the MH17 crash near Torez in mid-July 2014, the DPR prosecutors said. Read more. In their statement, the BRICS leaders called for dialogue as the path toward peace. 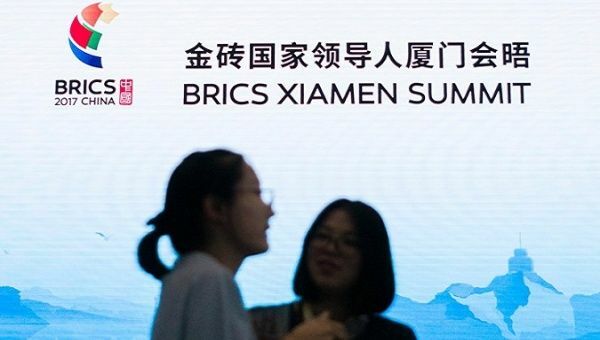 BRICS leaders have denounced military intervention and sanctions that have led to conflicts around the world, declaring that the international community needs to stand up and advocate for peace, during the ninth summit of the five nations in China. Read more + video. Why Does Lilian Tintori Have $60,000 Hidden in Crates in her Car? Lilian Tintori's vehicle was packed with two crates of perfect, new Bolivares. The GM foods giant Monsanto is calling for an investigation into an agency of the World Health Organisation. That's after the body published a report claiming some of the company's products, like the weed-killer glyphosate, are linked to cancer. Monsanto says the WHO ignored two major studies that found no connection to the disease. Amerikaans professor en voormalig VN Rapporteur Richard Falk bracht onlangs een rapport uit waarin hij vaststelt dat Israël een apartheidsstaat is. Onder druk werd zijn rapport onmiddellijk ingetrokken. Intal stelde hem alvast enkele vragen en nodigde hem uit op ManiFiesta op zaterdag 16 september. 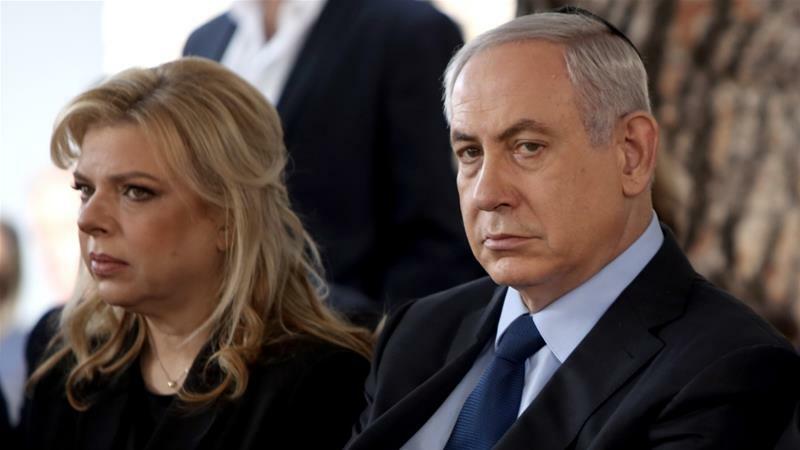 In maart publiceerde je een rapport voor de VN waarin je stelt dat Israël een apartheidsstaat is. Het rapport veroorzaakte nogal wat ophef. Wat gebeurde er? Lees meer. Can we really be fully human without Free Speech? Is free speech the oxygen of our society? Without it we crumble. Free Speech Fear Free get's to the core of what free speech really is, and the impact it has on our day to day lives. It compares the UK with Belarus and shows what life is really like without Free Speech. It tells chilling stories of a dictatorship that destroys people's standard of living. Azerbaijan's Silk Way Arlines transports weapons with diplomatic clearance for Syria, Iraq, Afghanistan, Pakistan, Congo. Dilyana Gaytandzhieva - At least 350 diplomatic Silk Way Airlines (an Azerbaijani state-run company) flights transported weapons for war conflicts across the world over the last three years. The state aircrafts of Azerbaijan carried on-board tens of tons of heavy weapons and ammunition headed to terrorists under the cover of diplomatic flights. Read more + video.